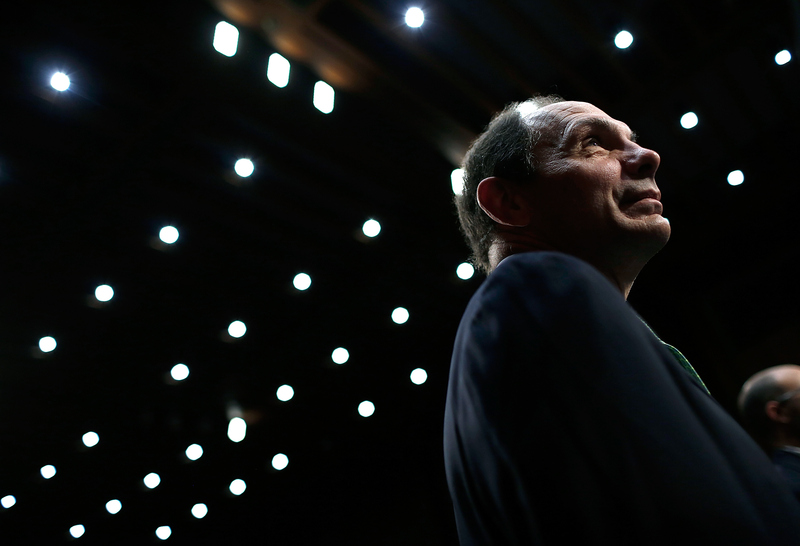 2015 is quickly becoming the year of embellished war stories and false military track records: Veterans Affairs Secretary Robert McDonald apologized for falsifying his military record in a recent interview with CBS Evening News. It's another embarrassing gaffe in a year that's already seen NBC News anchor Brian Williams temporarily removed over his alleged embellishment of Iraq War stories. Fox News host Bill O'Reilly was also hit with accusations of false war stories not long after Williams stepped down. The Huffington Post reported on Monday that McDonald claimed he served in special operations forces during his time in the military in the late 1970s. McDonald made the statement in a taped segment with CBS Evening News that aired in January. The segment showed McDonald talking with homeless veterans in a neighborhood of Los Angeles, as part of a reported piece on the high yet decreasing number of homeless veterans in America. In the video segment, a homeless veteran tells McDonald he served in special forces. "Special forces? What years? I was in special forces," McDonald replied. However, it turns out that's not the case. According to The Huffington Post, McDonald completed Army Rangers training — the Army Rangers are considered special forces of the U.S. military — but never served as a Ranger or was a member of any other special operations unit. Instead, McDonald served in the U.S. Army 82nd Airborne Division. In his official biography, McDonald lists his involvement with the 82nd Airborne Division and states that he has an Army Ranger designated tab for completing the training, yet there's no mention of serving with a special forces unit. McDonald is also a graduate of the United States Military Academy at West Point. [My claim] was inaccurate, and I apologize to anyone that was offended by my misstatement. I have great respect for those who have served our nation in Special Forces. They, and all veterans, deserve a Department of Veterans Affairs that provides them the care and benefits they have earned. The White House said on Tuesday in a statement that they "take him at his word" and believe his misrepresented military service won't "impact the important work he’s doing to promote the health and well-being of our nation’s veterans." McDonald's embellished military background was first caught by retired service members — similar to how Williams found himself embroiled in controversy over a war story he has told for more than a decade. The military news outlet Stars and Stripes published a story in early 2015 featuring interviews with service members who were on the 159th Aviation Regiment’s Chinook in 2003 that was under fire and forced to make an emergency landing after being hit by two rockets. Williams claimed for years that he was on this helicopter and was caught in the small arms fire, but the retired soldiers said the news personality was in a different helicopter, which arrived about an hour later. Williams recanted his story earlier this month, and stepped down from his high-paying anchor position with NBC Nightly News. His leave is expected to last six months, though at this time, the future of his news career is uncertain.